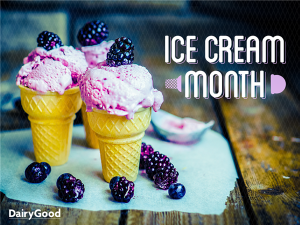 The International Ice Cream Association (IICA) encourages retailers and consumers to celebrate July as National Ice Cream Month. 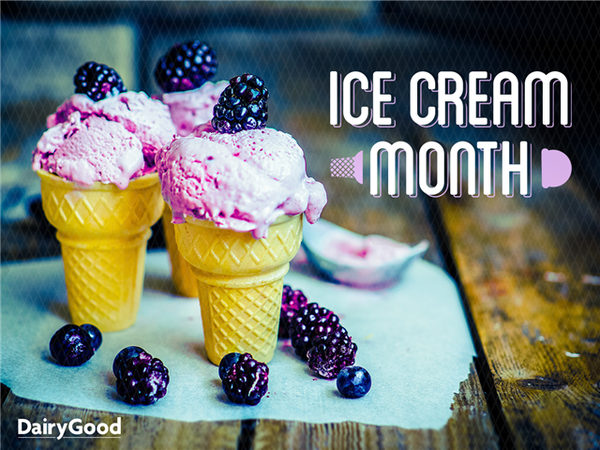 In 2015, National Ice Cream Day will be Sunday, July 19. About 10.3 percent of all the milk produced by U.S. dairy farmers is used to produce ice cream, contributing significantly to the economic well-being of the nation's dairy industry. Read more at the International Dairy Foods Association web site. For great ice cream and dairy recipes search the National Dairy Council web site.